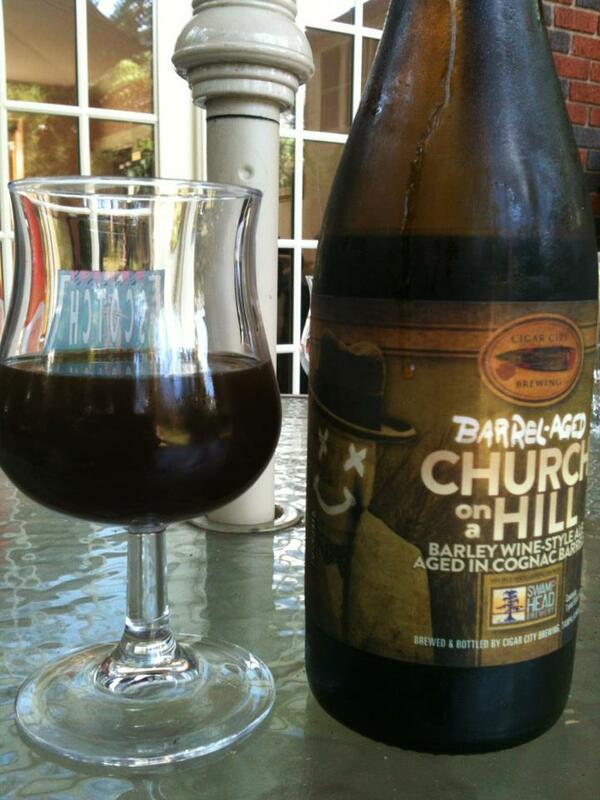 Cigar City Brewing Church On A Hill (Cognac Barrel Aged) is an English Barleywine and had been aged about 3 months. 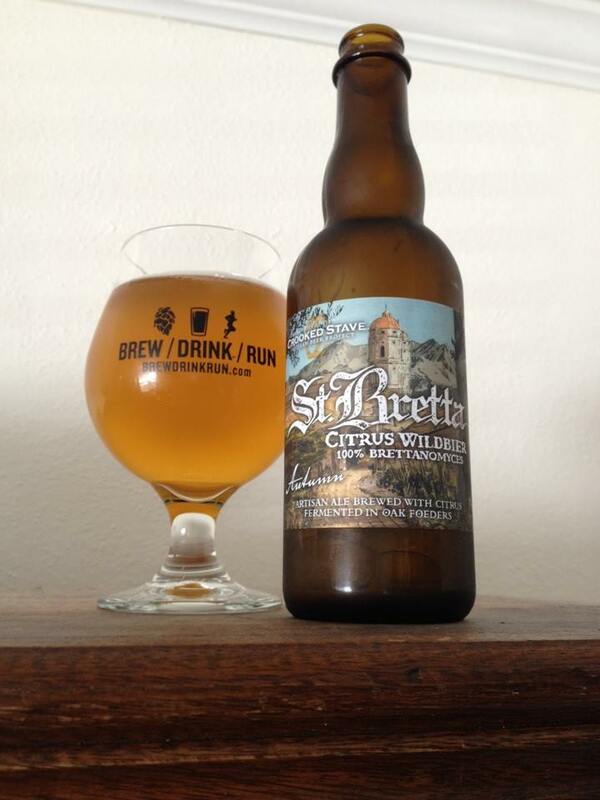 This is a cognac barrel aged variant of the Cigar City and Swamp Head collaboration Church on a Hill. 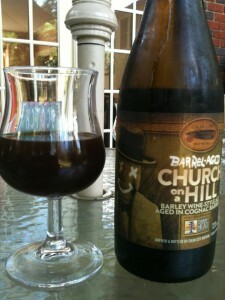 The two breweries created two different Barleywines, one an American Barleywine named Roosevelt and the other is an English Barleywine named Church on a Hill. 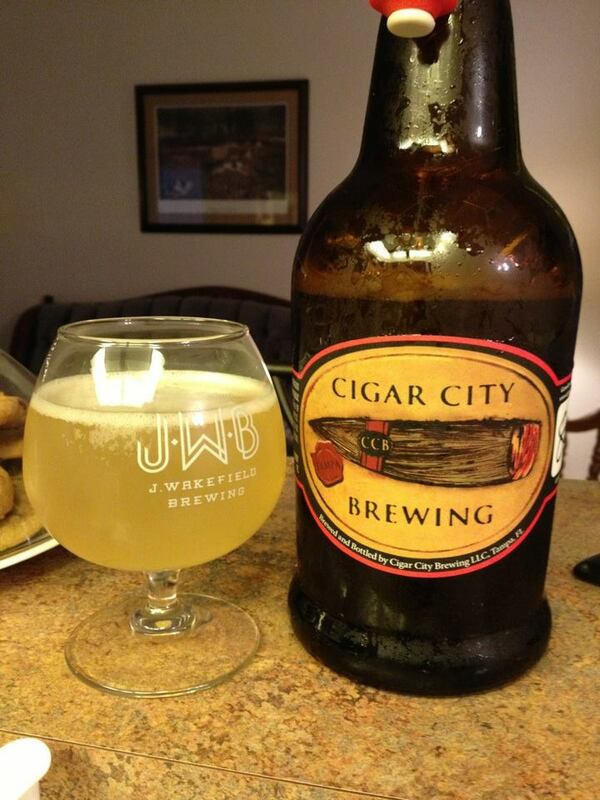 (There was clearly an issue of some sort with the using of the name Churchill) To the best of my knowledge this was only available to purchase from the Cigar City tasting room. 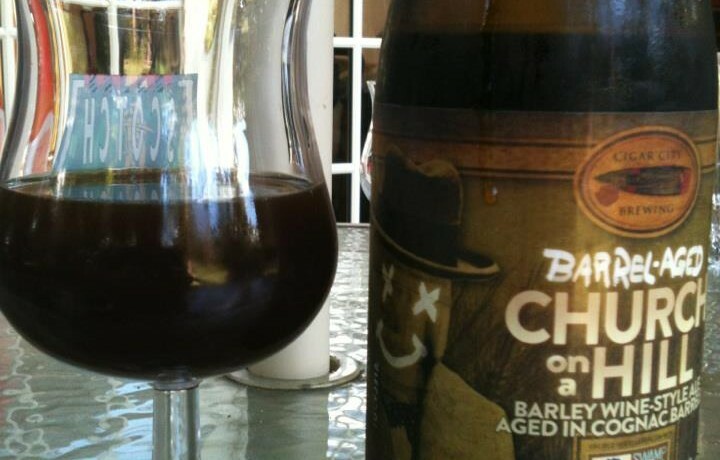 I normally age most barleywines for about a year or so, but I decided to open this rare beer pretty quickly in the hopes it wouldn’t become too sweet for my tastes. Anyway, on to the review: Big, sweet and boozy with lots of raisin on the nose and in the taste as well. This still had a lot of alcohol heat especially on the finish. Being an English style Barleywine the hops were somewhat mild even when pretty much fresh. I honestly do not know much about cognac or the effect it had this beer other than adding more sweetness, but I could detect a slight bit of flavor from the barrel itself. As sweet as this is it is definitely a slow sipper or dessert beer. My guess is that more age would lower the alcohol heat while increasing the sweetness.